If your physiotherapy clinic is listed on the website but you currently don’t have ‘Page management / the ability to edit the clinic profile’ you will firstly need to Claim your Clinic to do so. Once Claimed, you will be able to fully manage and edit your clinic profile whenever you may need to. B. Edit/Update your clinic profile. 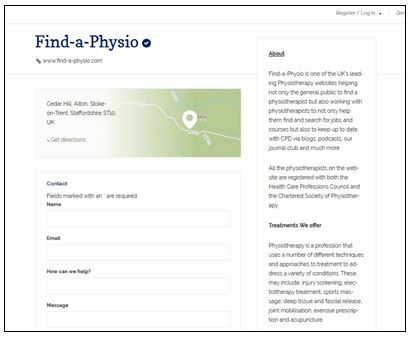 Once you have found your clinic using the Find-a-Physio search tool you have the option to see what the physiotherapy clinic has to offer via the Clinic Profile page. This page contains information such as, the clinic address, about the clinic section, treatment section and also contains a contact form if a user would like to contact the clinic directly. Once on the Clinic Page, scroll to Is this Your Listing? and click on Manage/Edit/Update your Listing. 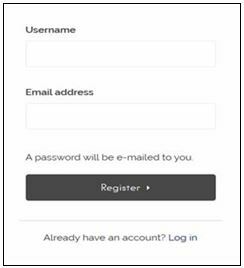 If you haven’t already registered select ‘Sign Up’ and enter a username and email address. Once Logged in you will be taken back to the Clinic Listing page. On returning to the Clinic Page once again click, Manage/Edit/Update your Listing. This time, instead of seeing the Log in screen you will see the following success message on the bottom of your screen. The success message lets you know that your ‘Clinic Claim’ has been submitted and will be processed by the support team. Note. If your clinic does not appear on your ‘Edit my Listings’ page within 24hrs please contact Find-a-Physio. 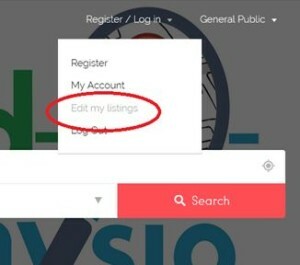 From the ‘Edit my listing’ Page you have the option to ‘Edit’ or ‘Delete’ the listing. To edit your listing click on the edit button. You may need to hover your mouse cursor to the right of the Listing expires column. 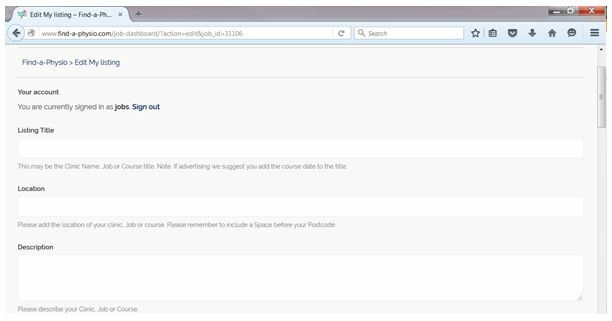 Once on the edit listing page you can now edit the details for your clinic. 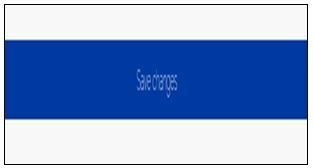 All you need to do is type your updated information in the text fields available. You can easily see your changes by selecting the ‘View’ option. 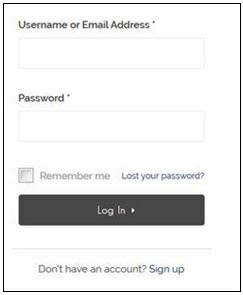 Alternatively you can return to the website homepage and continue using the website by clicking Find-a-Physio.